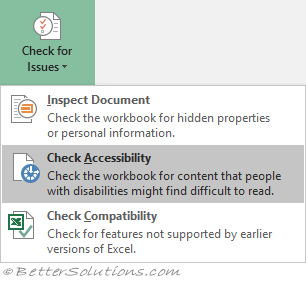 This task pane can provide you with information on how to make your workbooks more accessibility to users with disabilities. 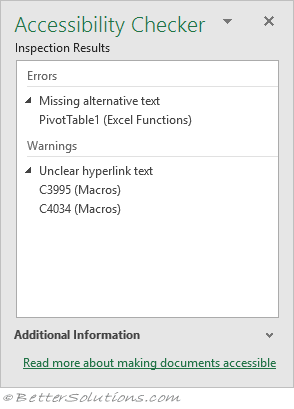 The following link support.office.com provides more information. 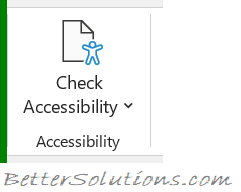 This could be accessed from the File Tab, Info, Check for Issues, Check Accessibility.